Any indirect or direct order is subject to our approval. Orders are accepted only after our approval, which can be tacitly acknowledged with the order or explicitly with written confirmation. Prices are for goods delivered ex-warehouse. The delivery terms are not exhaustive. Therefore, they shall be understood as being, and any delays with respect to the expected date of delivery cannot justify the request for any damages; in case of fortuitous events or force majeure, we reserve the right to cancel all or part of the orders, without the customer being able to claim compensation for any damage. Any anomaly encountered during the delivery of the goods must be expressly highlighted during acceptance with reserve on the delivery notice. Engines, gearboxes, turbochargers, injection pumps, return injectors (this list is not exhaustive, but only indicative) must be complete of all parts mentioned and quantified at the time of the offer and must be intact, free from cracks, and in a condition to be regenerated. Any missing or broken parts of the equipment, if not communicated by the customer at the time of purchase, will be quantified and invoiced. All goods must be returned entirely devoid of liquid. We guarantee our products for 12 months from the invoice date. The warranty consists of the repair or replacement of the recognised and proven defective parts, in addition to the labour needed to assemble and disassemble the item according to the time of the parent companies, at an hourly rate of € 35.00 plus VAT. In any case, CRD Srl is not responsible for any expense and/or damage for, by way of example, travel and transfer expenses, vehicle towing, consumables (lubricants, antifreeze, etc. ), downtime and any costs not expressly provided for in these warranty and sale conditions. 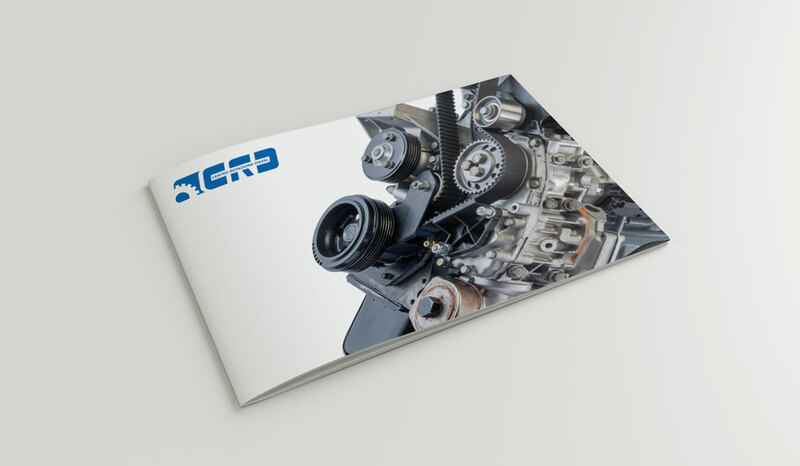 The buyer lapses from the warranty in case of improper use of the parts or in case of use different from the indications provided by CRD Srl, or if the parts are tampered with, dismantled or modified without the authorisation of our technical office. If the warranty covers an engine, to access the warranty, the first servicing must necessarily be carried out within 3000 km from the assembly with the replacement of oil and filters. Otherwise, the warranty will lapse. All engines sold by us have a particular temperature stamp showing a possible overheating. Tampering with this stamp determines the automatic loss of the warranty. To obtain repair under warranty, the customer must contact our technical office, fill out a form that will be provided and follow the instructions of the technical office. Be replaced. In this case, the new part will be regularly sold and invoiced and, a credit note will be issued if the upon return of the returned item if the defect is found. Italian law is applied, and the Court of Turin is responsible for any dispute. In case of disputes and doubts regarding the activation of the guarantee, CRD Srl will address the FIR (Italian Rectifier Federation) to obtain a certified appraisal by an expert appointed by the same to which it will adhere for the possible activation of the warranty. The customer cannot appeal to the judicial authorities before the expert appraisal. The conditions above are fully and unconditionally accepted with the issuance of a written or verbal order, save our specific written waivers. The conditions relating to the competent court and the limitation conditioned by the FIR expert appraisal, the clauses in the part in which the buyer's right to request compensation for damages and exclusion of CRD Srl's liability is excluded as well as the duration and conditions of the warranty, and the limitations, exclusions and revocations provided there in (Delivery-Warranty), and the limitation to 12 months of the collection of returns (Returns) are accepted specifically for all legal effects.